StreetLights Residential is a development company that takes a design-centric approach to urban multifamily and mixed-use developments. They believe in a world where development is inspired by neighborhood wellness; where building longevity is paramount to our success; and where community means more than short-term financial gains. StreetLights Residential has completed, projected, or is in-progress on 30 projects totaling $2.3 billion. Criterion.B was brought on to give a unique brand identity to their multifamily communities, from garden-style to high-end luxury. Taking a tailored approach to each property, Criterion.B built more than a logo, but rather connected a lifestyle and vision into a single brand. At StreetLights Residential, everything is built with purpose. Therefore, every brand needed to be held to the same standard. It wasn't enough to slap a logo on an apartment building or whip up a tagline. It had to hold true to the depth of value StreetLights Residential held for each community. Criterion.B brought a fresh perspective to each property, digging into the purpose behind the design, architecture, and vision. StreetLights Residential turned to Criterion.B to tell their property's stories from logo design to positioning statements. Starting the creative process with sketching, mood boards, and free-flowing content brainstorm, our team finds the inspiration and defining characteristics of the community before all else. Through an iterative branding process, we develop a range of options that span from classic to wild to imaginative. The messaging and logo development process is one that sets the stage for the entire property's branding. With unique lettering flourishes and custom hand-drawn fonts, Criterion.B establishes a mark that stands the test of time. To pair the vision with the logo mark and community's story, Criterion.B develops an awe-inspiring positioning statement to tie together all branding efforts. When designing a logo, we made sure StreetLights Residential could apply it in creative ways. 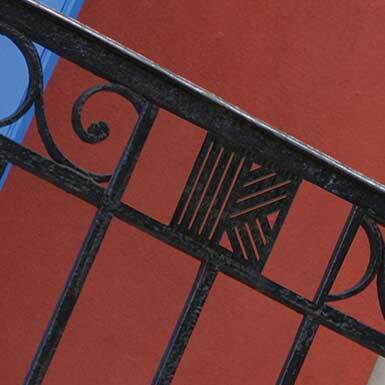 Whether it's turning the ornate K of The Kathryn into a repeated pattern or setting the logo within outdoor railing, the mark should be represented both inside and out. When designing wayfinding, we consider the interiors and exteriors of the apartment to develop custom icons, lettering, and signage. 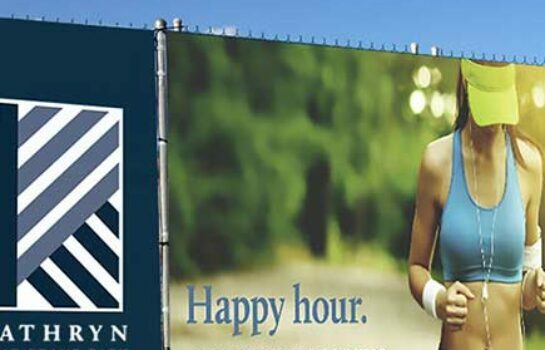 From property managers to residents, the brand must come across apparent at all times. This extends to business cards, stationary, stamps, and any other business essentials unique to the property. 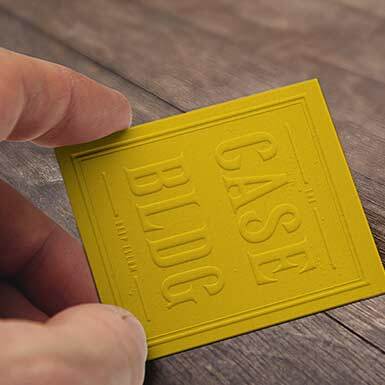 Drive-by awareness is a crucial part of the branding process. 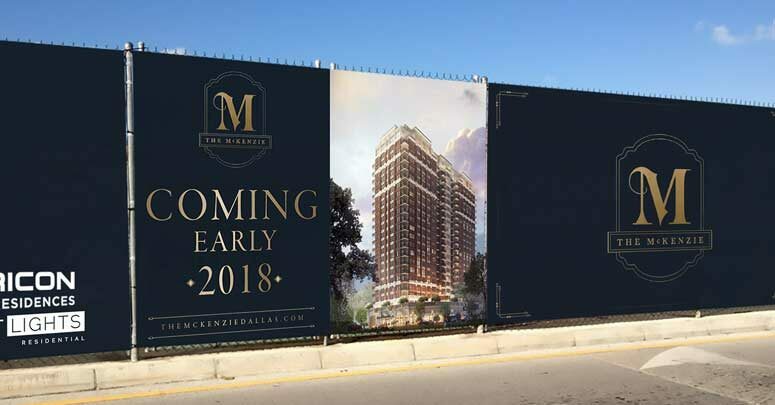 Developing striking construction banners attracts interest and awareness long before lease-up. This advertisement opportunity gets our wheels turning for creative applications of brand messaging and ad copy. We like to stop passerbyers in their tracks and pique their interest.